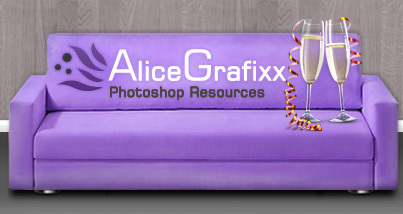 How did you come to Alice-Grafixx?Forum » English » Off-Topic » How did you come to Alice-Grafixx? Well, Alice is alway intetressted where the users of her site come from. So, how did you guys come to Alice-Grafixx? Great site! thanks for all your hard work and your generosity! with google, waslookingfor some new gradients for photoshop! Hello to all! As I put in my official presentation in the forum I am of Spain, I knew Alice Grafixx from the Google finder, needed textures and I found this Web. It is a fantastic site! I was looking for new patterns for photoshop and found: this website! Lol, seems like everyone on the site is from Europe or something. I found the site while browsing through layouts on Celestial - star, thought the layout was nice and when I noticed the maker had their own site, I just had to check it out! I am from the United States. I know enough german to navigate your site and read the rules, helps me learn more german to be on your site as well as see some nice graphics. i found it on google while looking for patterns.